It looks like a wardrobe, but open it up and it leads you back into a world of childhood - of fantasy. Lewis, now famed the world over as a children's author and religious apologist, was a university Professor who kept his private life a doggedly guarded secret. Living exclusively in the world of men, his life was really dominated by women - by his mother, whose death when he was a child scarred his whole life; by Jane Moore, with whom he lived for 33 years; and by Joy Davidman, the American he married. The mystery of Lewis is deep. He was a man who professed to be ruled by his head, but was manifestly governed by his heart. 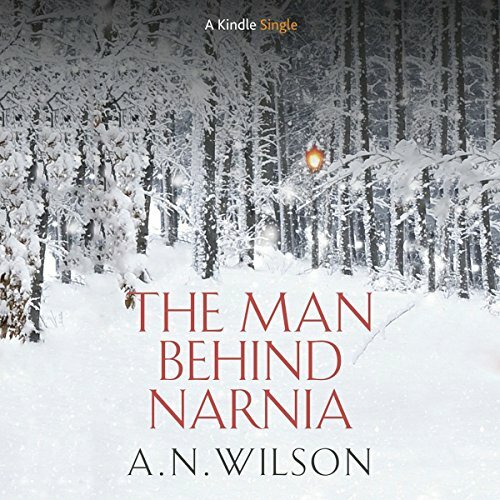 In The Man Behind Narnia, A.N. Wilson, who wrote Lewis' full-length biography over 20 years ago, returns to the theme - having made a television documentary about Lewis and his work. He opens the wardrobe and finds many demons - some are Lewis', and some are his own. A.N. Wilson is the author of over forty books - 20 novels, biographies of C.S. Lewis, Tolstoy, and John Milton, a three-part history of the last 100 years, and stories for children. ©2013 A.N. Wilson (P)2014 Audible Inc.
Wilsons return to Lewis after he has returned to Christianity might perhaps be regarded as more of a personal memoir than an addendum to a biography. It is not. Underlying the usual Wilson hubris is a really engaging story of a man who escaped hubris to become a "Really good man" and this made the book a pleasure to read. The author has nothing but contempt for C.S. Lewis! The author is anti-Christian. He writes this book from that bias. Would you try another book from A.N. Wilson and/or James Warrior? I find this book as nauseating as this author found Narnia. A waste of money. Would you ever listen to anything by A.N. Wilson again? Would you be willing to try another one of James Warrior’s performances? What character would you cut from The Man Behind Narnia?